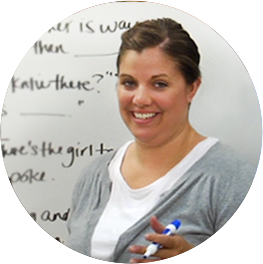 Katie is an enthusiastic teacher who strives to make connections between literature and student’s every day lives. If you walk into any typical high school cafeteria, you’re going to find a table for the jocks, a table for the nerds, a table for the drama kids, or may be the band kids. High school is all about stereotypes. The Great Gatsby has those same stereotypes. But as most of us learn in high school, if you look just beyond the surface usually you can learn a lot more about a person. Let’s take a look at the characters in The Great Gatsby and really think about them closely. Even though they seem like they have it all together on the outside, if we look just a little bit deeper, we can see how F. Scott Fitzgerald uses these characters and their disappointments to communicate his ideas about the death of the American Dream. As we discuss the characters in The Great Gatsby, one important thing to know about every single one of them, is that they are all disappointed in their dreams at some point. They never get to the free wishing of their dreams. Let’s start by taking a look at Tom Buchanan. Tom Buchanan is from old money. His family is described as "enormously wealthy and even in college his freedom with money was a matter for reproach." We get this picture of Tom, as this man who came from money as a child. He goes off to college on the East Coast and again he spends frivolously, with no real care to what he’s doing with it. What you learn as you read thought the book is that Tom also treats people very similarly to the way he treats money. He treats them very frivolously. If you remember back to the scene in his apartment with Myrtle, he slaps Myrtle across the face and bloodys her nose just because she’s mentioned Daisy’s name. Again he treats his marriage to Daisy as somewhat of a frivolously affair, as he openly carries on the affair with Myrtle Wilson. In fact he’s one of the most corrupt characters in the book and it’s important to note that, because he’s one of the only characters in the book that comes from that old money. It really shows that he has no value for people or things, because things have always been given to him. In fact, Nick describes him as very careless. He says he smashed people or things and creatures and then retreated back into his money and his vast carelessness, and whatever it was that kept them together, let other people clean up the mess he had made. Another character to note is Daisy, Tom’s wife. While Daisy isn’t quite as awful as Tom in the book, she’s taken on some of his characteristics. Daisy is described as having, “Her face was sad and lovely with bright things in it, bright eyes and a bright passionate mouth...” It’s really interesting that she’s described as both sad and lovely, because it shows that she has a touch of her upbringing. Which is upper middle class, but she’s from the mid west. She doesn’t grow up with as much money as Tom does. In fact, before she met Tom she fell in love with Jay Gatsby, but he was whisked off to the war. And out of a need to really satisfy her want for a high class lifestyle, she transforms from this lovely character to this sad character. In fact when Nick comes to dinner, with the Buchanan’s for the first time, she’s become so kind of vapid that she describes Nick her daughter. And she says the best thing that she can hope for her daughter is that, “the best thing a girl can be in this world is a beautiful little fool.” We have her go from this lovely bright-eyed woman, to this kind of sad woman who’s in a loveless marriage and only hopes for her daughter to be a fool. The next character we’re going to take a look is Jay Gatsby. He’s the character that it’s really difficult to dislike, even though there are some rumors of him involving himself in some illegal means. Important things to know about Jay Gatsby, he’s of new money. And throughout the book you’ll learn several rumors that float about of how he gained this money. He is associated with characters like Mia Wolfsheim, and other disreputable people involved in bootlegging and moon shining. Jay Gatsby is described as, “an elegant young rough-neck, a year or two over thirty, whose elaborate formality of speech just missed being absurd.” I think this is really interesting quote, because it shows that Gatsby is really described as somebody who seems to fit the bill of an upper class person. However, he’s got little things about him that just don’t quite fit. In this case, that his formality of speech is almost too much. He’s trying a little bit too hard. And we learn that the reason he’s doing this is because he desperately is seeking Daisy’s love again. Remember he’s gone off to the war, and when he comes back, he finds Daisy married to Tom Buchanan in a loveless marriage. And his quest through out the entire book becomes to recapture Daisy’s love. What he doesn’t know is the tragic truth about it is, that Daisy will never go back to Gatsby. She’ll near leave the comfort of the promise of a lifestyle that Tom can offer that Gatsby certainly cannot. It’s this kind of undying love and undying hope for the dream that really does lead to Gatsby’s demise in the book. Another character who similarly loses his hope in humanity is Nick Carraway. What’s interesting about Nick is, Nick starts off as our narrator. We really trust him, because he admits: “In consequence, I’m inclined to reserve all judgments...reserving judgments is a matter of infinite hope.” We see Nick present himself as this mid westerner who has moved out to the East Coast to try his trade at the bonds men profession. But he says, as he starts to describe people, that he strives to just reserve that matter of judgment. He wants to present things in the most objective light possible. And he says the reason he can do it, is because he has this infinite hope inside him, this idea that people are good and that they will always do the right thing. However, what happens to Nick Carraway as he goes through this book, and as he presents us these images of the characters of Tom and Daisy and Gatsby and Jordan Baker, he starts to lose his hope in humanity. What we see at the end of the book, is Nick really reflecting in his closing lines that, “we are people who be on, both against the current born back ceaselessly into the past.” We start with this idea that he has infinite hope. And then we close the book with this idea that he realizes that we are all just people, born to just repeat the past and have no hope of doing anything differently. Jordan Baker is another character that really represents to us the typical woman of the 1920s. Jordan Baker is described as, “having a pleasing and contemptuous expression or face.” Again we see that she is one of those people that’s described in two ways much like Daisy was described in two ways. Daisy was sad and lovely. Jordan is pleasing and contemptuous which seems to a little bit, those two words seems a little bit juxtaposed against each other. Jordan is a classic example of a woman of the 1920s who comes from money. Like Tom, she has little regard for what the right thing to do is. In fact through out the book we see that she is a professional golfer and she’s quite attractive. Nick Carraway, our narrator becomes quite captivated by her, until he realizes that some of her fame and notoriety in the golf world, has come through some immoral means. In fact we discover that she has rumored to have cheated in some of the tournaments that she’s participated in. It’s important to point this out Jordan, because Jordan is really that vehicle that allows Nick to start loosing his faith in humanity. She’s that first person he seems to be a little bit in enumerate of in the book, and as he starts to be more captivated buy her he learns more and more about her, and reveals that kind of dark sinister part of her, that doesn’t really regard any of the actions of anybody else, or what it means to do the right thing. She’s really that vehicle that starts the downfall to Nick’s hopefulness. It’s important to not that George Wilson is described as being spiritless. I come to imagine I picture him in my head, and I think about him as this man who is spiritless simply because he spends every single day working as hard as he can, in the Valley of Ashes to earn a living. He owns his own garage even though it’s described as being void of things and unprosperous. He really has put his heart and soul into his work and at the same time, his wife Myrtle is desperately wanting to jump out of that working class and into the upper class, and is striving to do so by carrying on an affair with Tom Buchanan. We see these two characters really striving in different ways to make the most of the American Dream. And in the end, what happens is that, Myrtle’s want to be in that upper class, really leads to her demise as she chases after Tom Buchanan’s car and ends up being run over. Then George, also being taken advantage off of the actions of all the other characters, as he feels so devastated by his wife’s murder, that he ends up killing Jay Gatsby, and then killing himself. Thus sacrificing all this hardwork he’s put in. It doesn’t matter what he’s done because he’s really been the victim of every body else’s carelessness. Nick Carraway our narrator closes this book considering what Gatsby must have felt like when he moved to the west arc. He says, “he thought of Gatsby’s wonder when he first picked up the green light at the end of Daisy’s dock. He had come a long way to this blue lawn and his dream must have seemed so close that he could hardly fail to grasp it. He did not know that it was already behind him, somewhere back in the vast obscurity beyond the city, where the dark fields of the republic rolled on under the night." Here we see Nick reflecting on the loss of Gatsby’s dream. And in this episode we talked about not only Gatsby, but all the other characters that failed to recognize their dreams as well. We have Daisy who ends up in a loveless marriage, hoping her daughter to be a fool, after experiencing the love of Jay Gatsby. We see Nick Carraway loses hope in humanity, as he witnesses all of the actions of the other characters here. We see George and Myrtle Wilson in the Valley of Ashes, their lives both ended by the carelessness of the other characters. And we see Tom and Jordan act as kind of vehicles to help these characters actually lose their faith in humanity. Here we see in this episode, Fitzgerald using these characters as vehicles to communicate his hopelessness about the American Dream and his critic of the 1920s.